Pour yourself some tea. Let's read. Sometimes life is hard. How do we relate to God in the midst of suffering, doubt, and despair? This 6-lesson Bible study is designed for small groups, but you can adapt it for use on your own. Interested in processing God's presence or seeming absence in this season of your life? Consider signing up for a spiritual direction session. Are you enriched by the free Bible-study booklet you downloaded here?  Consider making a tax-deductible donation to Eden Spiritual Care to keep resources like this widely available.